Over the years, PristineSofts elated its hold on mobility. Having delivered diverse mobile app’s across variety of industries, PristineSofts comprises full-fledged, talented dedicated team for Android, IoS native App development and Hybrid Apps across genres. We emphasize responsive design, user experience, performance, security, customization and analytics. PristineSofts creates native applications for iOS and Android stages. 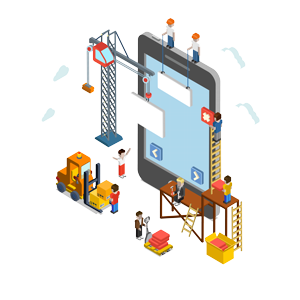 Our specialists have consummated the craft of building the excellent, connecting high quality native applications for Android and IoS platforms. We comprehend the gist of every versatile stage and completely use their functionalities while creating applications. PristineSofts offer end-to-end Hybrid application development solution for its customers. . PristineSofts capable of conjoining HTML5 development with the advanced mobile frameworks like Iconic and more to manufacture the applications that resemble Native App’s on all the significant stages, including Android, Windows versatile, IoS and others.